by Annette White	on March 27, 2017. I sometimes here the question what does a priest do besides saying mass at the weekends? Some might think we have an easy life given we do not have a family and we are cared for by the church. Consequently I would like to give you some idea of what Catholic Priests is like today. There are an increasing number of priests suffering from feelings of apprehension and anxiety. A 67 year old priest recently told his bishop he was unable to take on another parish. He already felt overwhelmed providing for a large parish with two churches. At 67 years old none of us would be expected to substantially increase our workload by 80 – 100%. By the way there would be no extra increase in the priest’s stipend (pay) for doing so. Seriously, what answer would you give? So why is this expected of a priest? 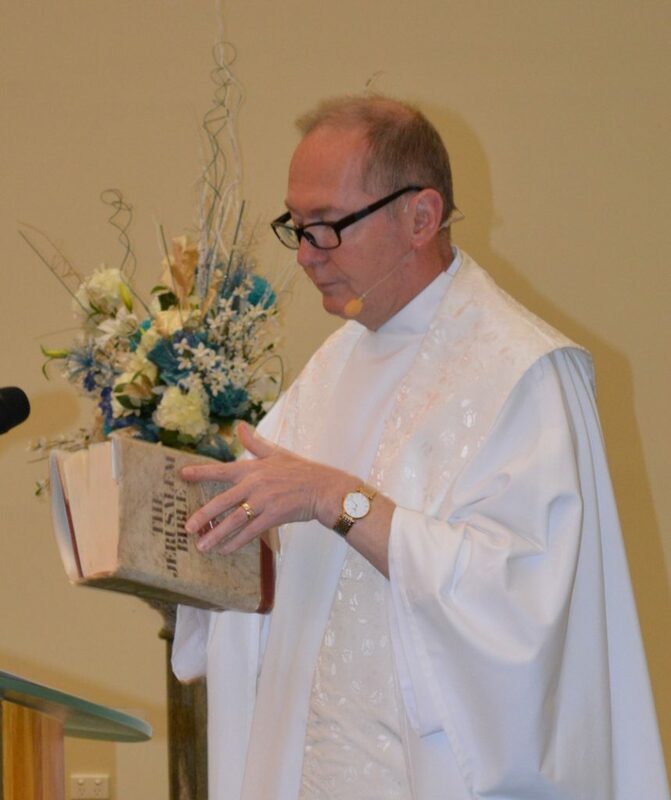 Priests are called to be spiritual leaders, ministers of religion, financial gurus, night watchmen, builder and maintainer of properties, crisis counsellor, pastoral experts, oversee the running of schools, sacramental celebrants, educators, confidant to all, and available 24/7 if required. We are also to be pleasant, understanding and happy at all times without a care in the world. Over the last decade priests have come under an enormous amount of pressure. The parish priest is legally responsible for all properties, lands and buildings within the parish boundaries. The priest is the employer of all school/s staff and other staff employed by the parish. Governance issues are more and more litigious from the safety and protection of children to that of security, insurance, due diligence, public liability, finances, maintenance of buildings etc. The lists go on and on. What profession support is there for the Priest given the nature of his profession and the workload of parish life? There are a lot of expectations put on a priest by the parish. This can be extremely taxing with little obvious reward for the hard labour involved. This coupled with the wearing effects of the continued growth in secularisation, the rejection of long held beliefs, the decline in church attendance and the often belligerent expectations of non-practising Catholics all take their toll on the emotional health of the priest. It is much easier just to give people what they want and call it a day. From those who sit on the verge of the church there is a strong and growing culture of expected entitlement. The priest is not seen as someone to respect but more as a servant and a subservient servant at that. Then there is the psychological frustration from what I call ‘the players’. How can I appeal to Father’s good-nature while convincing him of my sincerity so I can get what I want? How can I exploit Fr’s naive goodness? This involves the reception of the sacraments, pastoral/financial care, and financial assistance to name a few. Likewise some school parents make excuses, not so genuine, to avoid any commitment to the church. The school is their centre and focus, nothing more? Dealing with the general public for more than 25 years given an insight that few can match. How do we reinvigorate people’s desire for God? I enjoy my priesthood but I am under no illusions. Then there is the pastoral care of all who genuine need the priest’s help. The mentally ill and depressed, those suffering from broken relationships, the psychologically damaged, the marginalised, the lonely the elderly, all need constant support. There is a lot of stress which can gradually undermine a priest’s psychological well-being in ways that perhaps does not happen in others occupations. Priests are only entitled to one day off to recuperate and sometimes that is not possible due to funerals or some other unforeseen event. So the next time you wish to criticise a priest thing of what his life is really like. In my experience priesthood can be the most exciting challenging and rewarding of all vacations. Yet given the above where do I find my resolve to continue? The answer is in prayer. Effective priesthood requires a constant genuine prayer life. Prayer takes me to a different place, a place of grace and inspiration. Prayer strengthens me and given me courage to face another day. Without prayer I could not continue. My solace is in personal prayer. Prayer enables me to know God as a personal support and confidant from whom I seek advice and guidance. I enjoy my priesthood it gives me hope, inspiration, meaning, and purpose and many rewards that are beyond price. My personal experience is that the power of prayer is just extraordinary. So be a person of prayer. Prayer will transform you. Believe me I know.